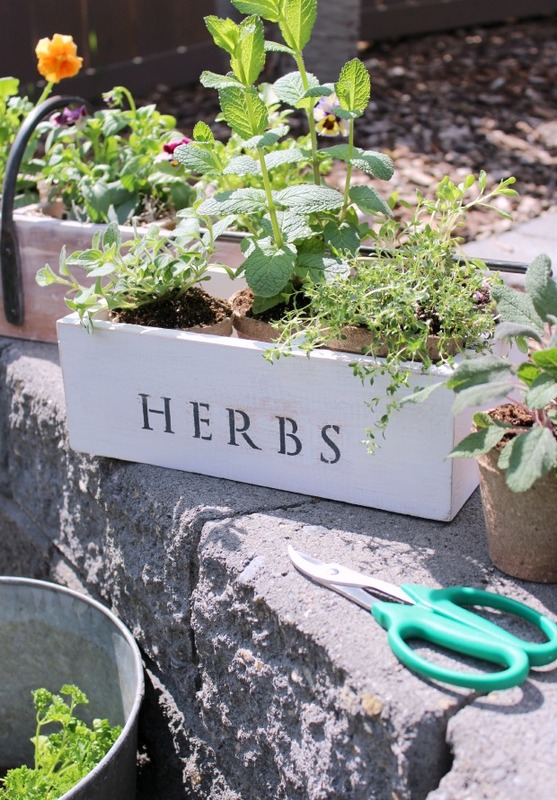 I am loving these trash to treasure vintage tool box planters with flowers and herbs, plus more outdoor gardening projects inspired by the Outdoor Extravaganza! Hello friends! Can you believe it’s time for this year’s OUTDOOR EXTRAVAGANZA? 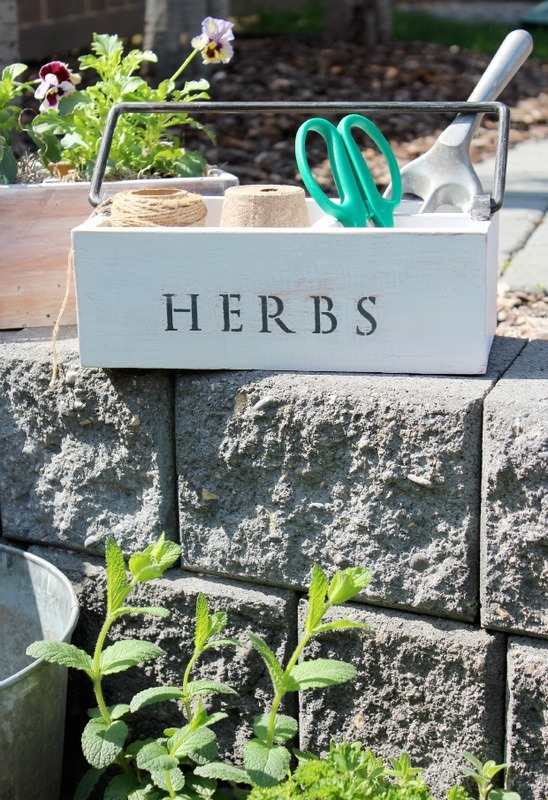 If you haven’t started any outdoor projects, now’s the time! I promise you’ll be inspired to whip your backyard (or any part of your outdoor space) into shape. I’ve invited some creative blogger friends to join in the fun. 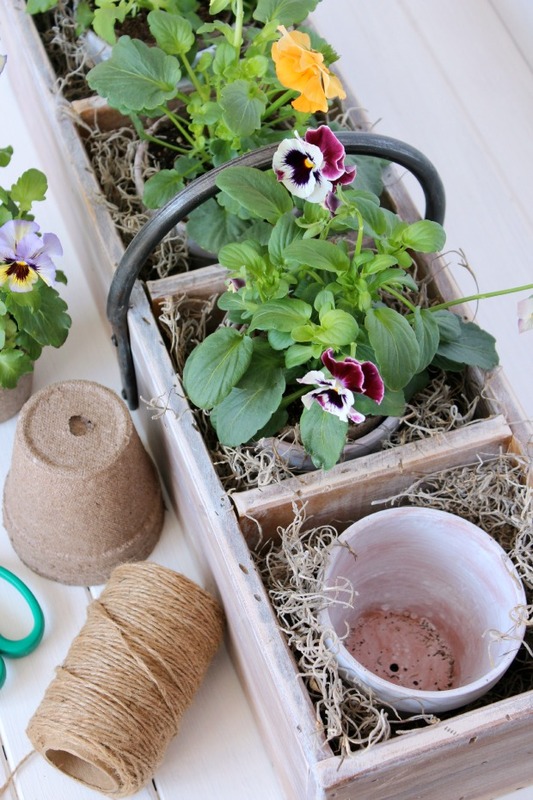 Over the next few Wednesdays, we’ll be sharing Plants & Flowers projects, Outdoor Decorating & Entertaining ideas, as well as Build-it & Paint projects. Then, on May 28th, we invite you to come back for one big OUTDOOR EXTRAVAGANZA link party, where you can share your own outdoor projects! For a while now, I’ve had two vintage tool boxes sitting in our garage. One I found in front of a garbage and the other was rescued from the back of my cousin’s truck, which was en route to the dump. When I brought them home, I wasn’t sure what to do with them. I mean, that orange paint job was hideous. But they both were solid and deserved a second chance. So, I did what I usually do with old wood, and pulled out my sand paper, white paint and some rags and brushes. The orange caddy got a few coats of indoor/outdoor paint, whereas the wooden one got a watered-down wash that I wiped off with a rag. Just enough to tame down the stain color. 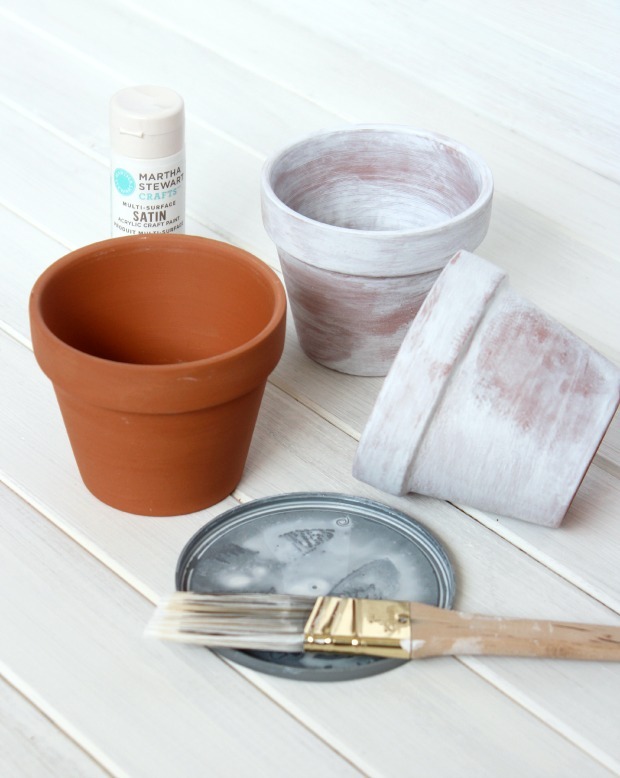 Then, I aged some terracotta pots with the same watered-down indoor/outdoor white paint. I brushed it on and used a rag to remove a little here and there. Some areas required two coats. Don’t worry if you mess up. Dampen the rag to remove the excess and apply a little more. Be sure to finish at least the rim part of the inside too. Next, I placed each pot in a section of the larger tool box along with some spanish moss. To keep the plants from drying out, I transferred them to peat pots first and then placed them in each terracotta pot. They’ll still likely need a daily watering, but the fiber will help hold in the moisture. Don’t you love these frizzle sizzle pansies? Adorable, I say. For the orange caddy, I stencilled HERBS across the front using self-adhesive stencils and charcoal paint I had left over from my printed tea towel project. Then, I lightly sanded the letters to give them a slightly-weathered look. 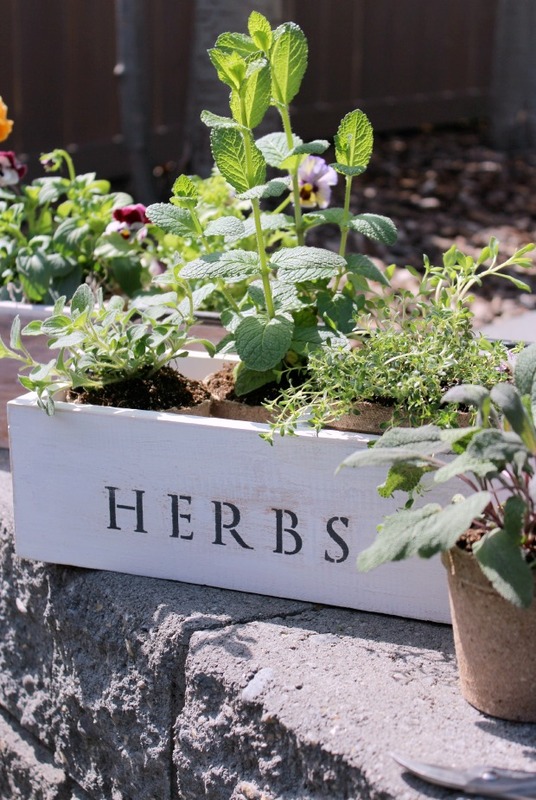 Or a cute little herb planter. 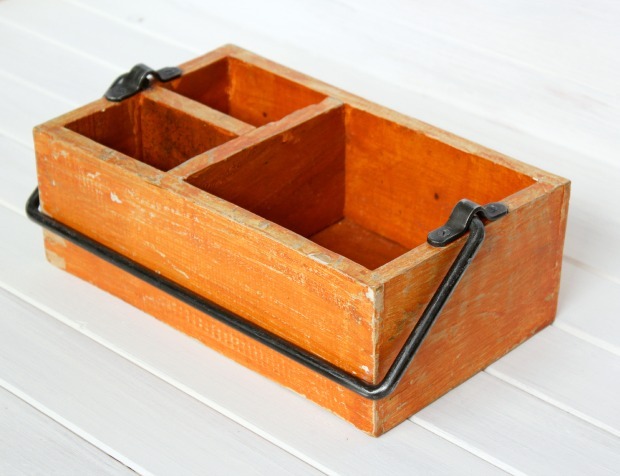 I think these vintage tool boxes are better served here than in a landfill. Just saying. Be sure to come back next Wednesday to check out our Outdoor Decorating & Entertaining projects. As well, mark your calendars for our big OUTDOOR EXTRAVAGANZA link party on May 28th! What a fabulous idea, they look like they are from the pottery barn. LOVE them! Thank you Virginia! Yes, but basically free, which is even better! 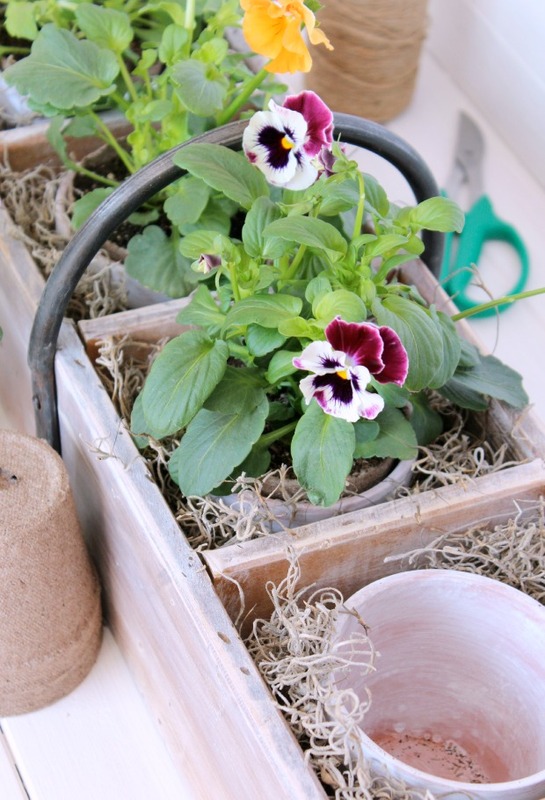 It’s a toss up – I like it as BOTH the planter and as the tool caddy! Nicely done Shauna and looking forward to your Outdoor Extravaganza link party for some more fabulous ideas! Thank you. I hope you’ll be joining the party! So pretty!! 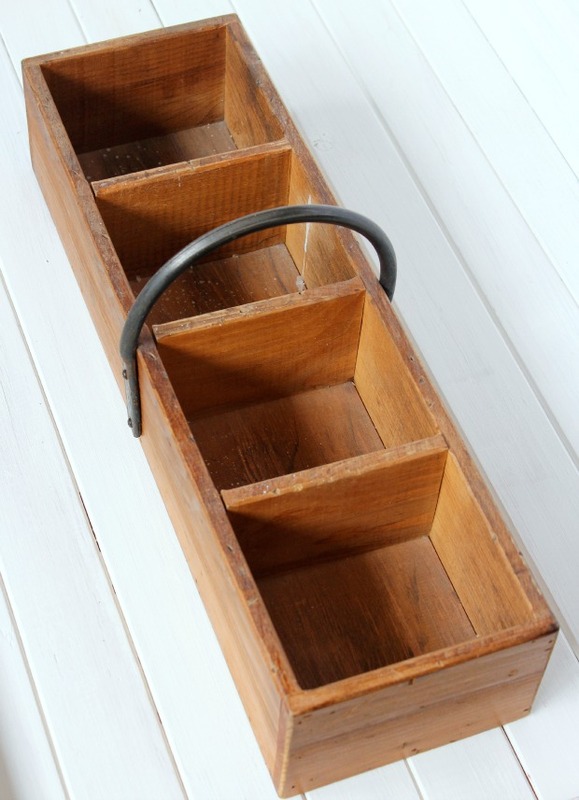 Love these in both forms – the tool caddy and the planter. Nicely done! Thank you, Tash! It was a fun project. Thank you for sharing, Angie. You know I love Resto style, so I’ll take that as a huge compliment! Such a beautiful planter! I want one on my window sill! I saw another tool box like it at Value Village yesterday, so keep your eyes open. Such an easy project and so versatile. Thanks for stopping by! I love what you’ve done and your photographs are stunning!! I can’t believe those tool boxes were destined for the landfill – that would have been tragic! You and I rescuing items one-by-one at a time lol! Still learning how to take outdoor photographs, so I’m glad you think they turned out good. Enjoy your long weekend! I love vintage finds – and I love to garden. 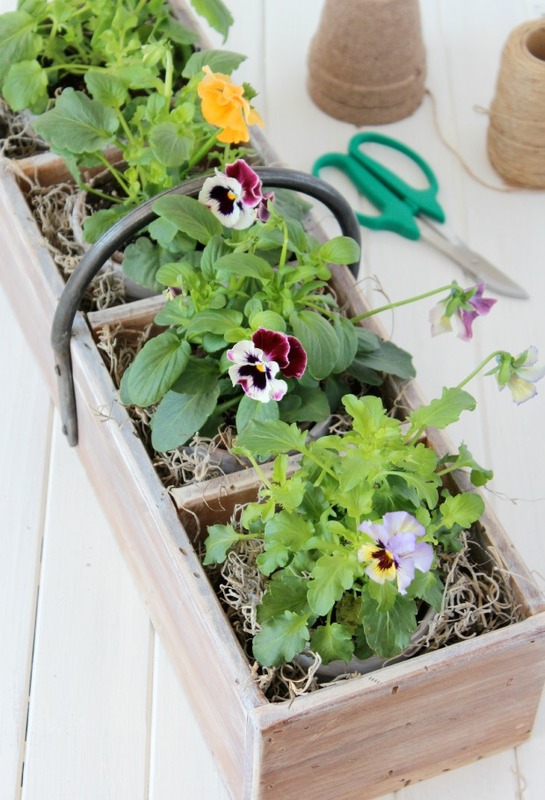 You just combined two of my passions with these gorgeous tool box planters! Love, love, love! Couldn’t agree more! There’s something about both of them that speaks to my heart. Thanks for popping by! How perfect! This series is always a treasure trove of fantastic ideas. Looks like this year isn’t going to disappoint! 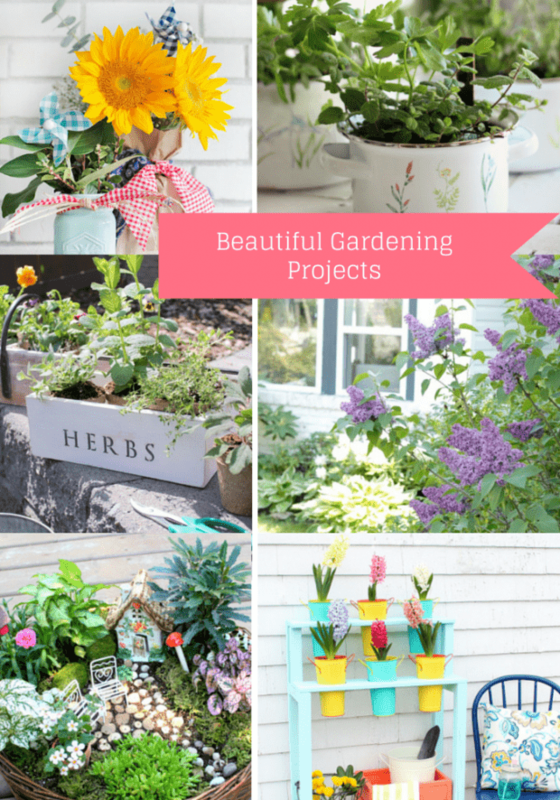 ;) Love your project… especially the planter, so pretty!! I’m sure you’ll have some great projects to share at the OE link party. Your outdoor spaces are always so gorgeous and inspiring! Those wooden boxes turned out so cute. 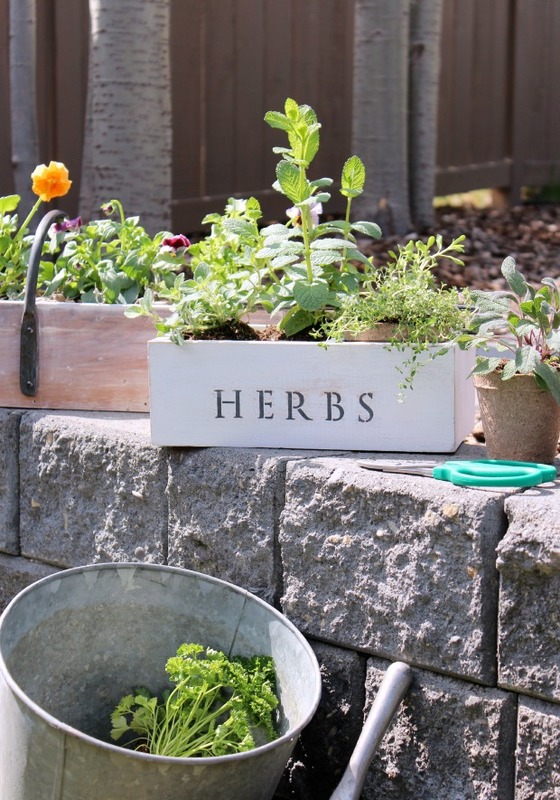 I plant herbs in the summer… maybe I need a cute planter! Thanks for sharing all the outdoor creativity. These are so pretty Shauna! The old toolbox is perfect! I’ll have to be in the lookout for something like this at garage sales this summer! Have a great weekend! This is such a great idea and has a wonderful vintage feel. I always wanted planters like these and now I know my next home project.